Power for Progress… a weekly column from the Grand River Dam Authority. 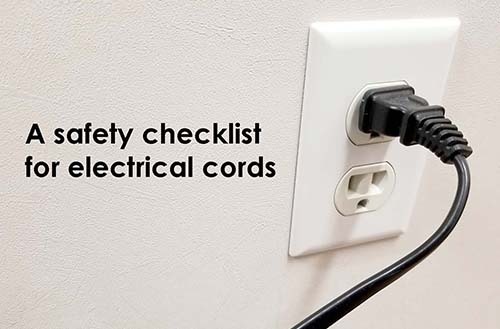 Safety checklist … A checklist to insure your home’s electric cords and appliances are in good working order may help prevent shocks and fires in the home. Although National Burn Awareness Week is ending (the first week of February), it is still a good time to talk about burn awareness and fire safety. Of course, you can help prevent fires in your home with a checklist to insure your cords and appliances are in good working order and not in a position to cause a fire hazard. The Grand River Dam Authority wants to help you with that checklist by passing along some information from the Electrical Safety Foundation International (ESFI). Remember, you can find even more safety information on the ESFI site at electrical-safety.org. Are any of the electric cords in your home cracked, frayed or showing other signs of damage? If so, don’t use them. Damaged cords may have exposed wires that can be a fire and shock hazard in the home. Are any of the cords pinched by furniture or in windows or doors? Is so, move them. Pinching cords can cause damage to the insulation. Are any of the cords attached to anything with nails or staples? If so, remove the nails or staples and, if you see damage to the cord, replace it. Nails and staples can cut or pinch the insulation. Are any of the cords kept wrapped up while being used? If so, unwrap them and make sure they are not damaged. Wrapped cords can trap heat, which can lead to melting or weakening of the insulation. That is also a fire hazard. Are all appliance cords placed so they will not come into contact with hot surfaces? Cords can melt or burn from excessive heat. This can expose wires and lead to a fire or shock hazard. And a final check on your lamps: Are you using the proper wattage bulb? A bulb with wattage higher than recommended may overheat the light fixture, wiring or nearby combustible material. That is also a fire hazard. Keep these tips in mind. Your friends at GRDA want you to stay safe! Headquartered in Vinita, GRDA is Oklahoma’s state-owned electric utility; fully funded by revenues from electric and water sales instead of taxes. Each day, GRDA strives to be an “Oklahoma agency of excellence” by focusing on the 5 E’s: electricity, economic development, environmental stewardship, employees and efficiency.